Friends of the family have a static caravan just outside of Welshpool, Wales. He had asked me the next time we came to visit would I take some photos of a nearby funeral directors. At first thought this to be a bit weird but he explained about the gardens around the building and what the place means to him and his family. So earlier this year on a family day out we went to visit this funeral directors for me to take the photos, at time of writing I am not naming the funeral directors, as the place is not really a attraction to visit and I had permission from the owner to take photos. The funeral directors is on long country road but is not hard to miss. The gardens are really beautiful and what some people would have as there normal home gardens but a surprise to see this at a funeral directors. 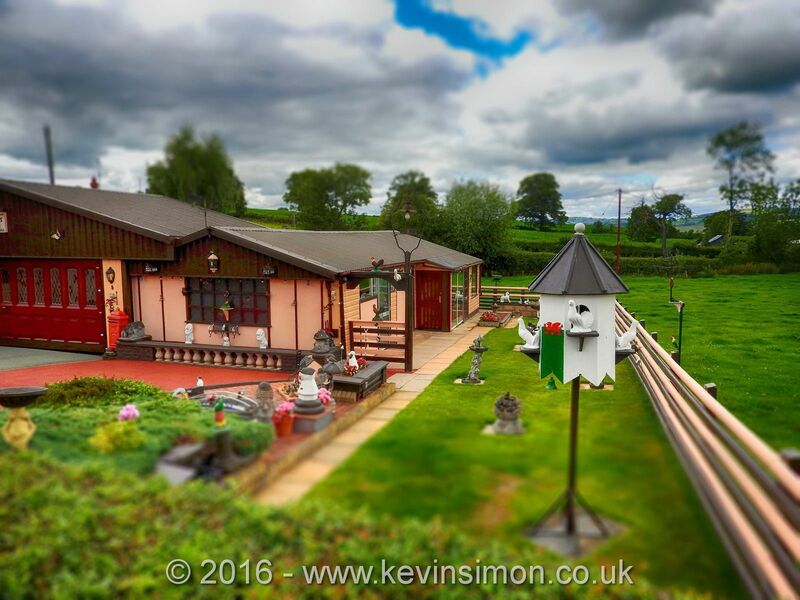 There is a lovely fish pond (which of course I would be interested in – See my business 🙂 and loads of really nice ornaments. The gardens you can see are really cared for. But like all of us that have had to visit a funeral directors which is a sad time, having the office in a setting like this I would say more puts you at ease. The owner was a friendly person aswell. So just though would share some of the pictures of the gardens, as really nice to see.